In 1931 the book A Thousand Years in Tardebigge, written by Margaret Dickins, was published. Based on considerable research, it traced, in much detail, the history of the Parish of Tardebigge from the tenth up to and including the nineteenth century. This book has been written to continue the history with an account of events in the life of the parish in the twentieth century. These include the changes which came about following the Second World War, 1939-45, when the third Earl of Plymouth sold Hewell Grange and his Tardebigge estates, including the Village Hall, and he and his family moved away and severed their ties with Tardebigge. Also at this time the Gray Cheape family abandoned their former residence, Bentley Manor, and it was soon demolished. The construction of the A448 Dual Carriageway through the parish in the 1970s had an impact upon the road system and local travel. 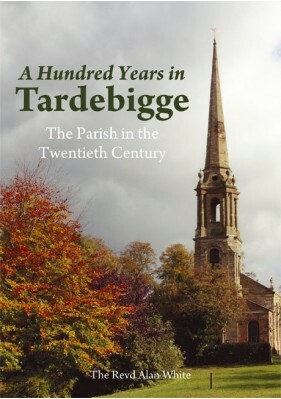 There are chapters in the book covering events in the life of Tardebigge Church and the Church School, and in the various scattered communities in the parish. Also covered are the developments which took place on the Worcester and Birmingham Canal which runs through the parish, and in the farming scene where, by the end of the century, the many smaller farms which existed in the early 1900s had been mostly replaced by several extensive farming businesses. The book concludes with a chapter containing the interesting reminiscences of nine local people.